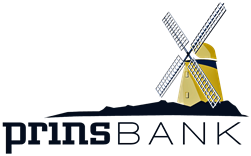 You must be an individual enrolled in our Personal Online Banking Service and have an iPhone or Android phone with PrinsBank's mobile app installed, a camera in your phone, and an internet connection. You must have a deposit account that has been open at least 90 days and your account must be in good standing. You may deposit single party domestic checks made payable to the owner(s) on the account. you may NOT deposit third party checks, substitute checks, returned checks, incomplete checks, non-negotiable items, foreign checks, stale-dated checks, checks on which you suspect fraud, or altered checks. Our standard deposit limit will allow you to deposit checks up to $3,000.00 per day. Each check must be deposited separately. Check endorsement must include your signature and "MOBILE DEPOSIT ONLY", endorse and date the check. Failing to do so may result in a denied check image deposit. Customers will be notified via email or mobile number provided for any check that is denied. Please retain check in a safe place for up to 45 days. After that, dispose of the check securely-we recommend shredding. Our daily cutoff is 1:00 p.m., any Mobile Deposit received after 1:00 p.m. are considered next day, and could potentially take up to 2 business days for processing. Funds availability is generally the Next Business Day. There is currently no fee for Mobile Remote Deposit Capture.